The protest is part of a coordinated global campaign against a growing health hazard in the field of cosmetics. So far, the groups have reached out to the US Food & Drug Administration (FDA), the United Nations, the World Health Organization (WHO) and INTERPOL, the Lyon-based international law enforcement agency whose mandate includes investigating the sale of illegal health products online. Michael Bender, International Coordinator of the Zero Mercury Working Group, told IPS internet moguls must stop breaking the law with their toxic trade in illegal cosmetics. “Amazon and eBay have the responsibility and resources to prevent exposing their customers to this dangerous neurotoxin,” he added. At the same time, said Bender, the FDA must enforce the law— no matter how big the retailer, since no one is above the law. The CSOs have identified 19 skin products sold by these two companies that contain illegal mercury levels—even as the use of these products are skyrocketing globally, and in the US, and used worldwide mostly by women in Africa, Latin America, Asia and the Middle East. Since 1973, the FDA has warned against using cosmetics with over 1ppm mercury and detailed the risks. And mercury is known to state, federal and international agencies as toxic and harmful to human health. In a letter to Devin Newig , president and CEO of eBay, the groups say the products advertised for sale on the e-Bay website are “unpermitted and illegal”. 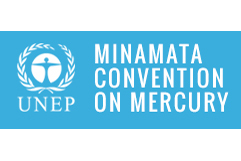 The protest has taken added relevance against the backdrop of the upcoming second meeting of the Conference of the Parties to the Minamata Convention on Mercury (COP2) which will take place November 19-23 in Geneva, Switzerland. The Minamata Convention is an international treaty which has been signed by 128 UN member states and ratified by the legislatures of 101 countries. Syed Marghub Murshed, Chairperson, Environment and Social Development Organization-ESDO, said “skin-lightening creams are pushing the youth towards a serious health risk and environmental havoc”. He urged the government to take a regulatory and legislative step to protect future generations — and the environment. Elena Lymberidi-Settimo, European Environmental Bureau Project Manager “Zero Mercury Campaign” and International Co-ordinator, Zero Mercury Working Group, told IPS that toxic trade in illegal high mercury skin lighteners is a global crisis which is expected to only worsen with skyrocketing global demand. “To combat this, it’s important for governments to quickly enact and/or enforce regulations and effectively warn consumers”, he added. Sonya Lunder of the Sierra Club’s Gender, Equity and Environment Program, said internet sellers should be held to the highest standards for selling safe and legal cosmetics. “Not only should they remove all illegal products from their websites immediately, but they must develop a system to ensure that toxic products remain out of their supply-chains,” declared Lunder. The WHO says mercury is a common ingredient found in skin lightening soaps and creams. It is also found in other cosmetics, such as eye makeup cleansing products and mascara. In Mali, Nigeria, Senegal, South Africa and Togo, 25%, 77%, 27%, 35% and 59% of women, respectively, are reported to use skin lightening products on a regular basis, says WHO. In 2017 and 2018, 338 skin-lightening creams from 22 countries were collected by 17 NGO partners and tested for mercury, according to the group. And 35 creams (10.4% of the samples) had mercury concentrations ranging from 260 – 16,353 parts per million (ppm). These levels significantly exceeded not only regulations in many countries, but also new provisions in the Minamata Convention disallowing, after 2020, the “manufacture, import or export” of cosmetics with a mercury above 1 ppm. The health consequences include damage to the skin, eyes, lungs, kidneys, digestive, immune and nervous systems. The Mercury Policy Project, the Sierra Club and the European Environmental Bureau say they have purchased skin lighteners from eBay and Amazon websites. The brands purchased included many previously identified as high mercury by New York City, the state of Minnesota, countries of the European Union, Singapore, United Arab Emirates (UAE), the Philippines, among others. Of these, 19 products had illegal mercury levels, typically more than 10,000 times higher than the legal threshold of 1ppm. (2) Add skin lightening cream products to a list of categories requiring prior approval before sale; and require that sellers provide documentation verifying that the products do not contain mercury and that the products are otherwise compliant with all applicable regulations. Out of the 22 countries where the global cosmetics sampling took place, 14 have legislation or other requirements consistent with the Minamata convention provisions, the letter says. Out of the 7 countries where high mercury samples were found, only 4 have legal requirements prohibiting creams with more than 1 ppm mercury content. –in Bangladesh, 50% of the creams sampled and tested had mercury content exceeding 1 ppm. –In the Dominican Republic, one out of 3 samples had mercury above 1 ppm (33%), whereas in Indonesia it reached 31%. — in Mauritius, one out of 15 creams was found to contain more than 1 ppm (7%). — in the Philippines, 19% of the samples exceeded 1 ppm mercury content, while the Thai samples reached 63; and. –in Trinidad and Tobago, 20% of the samples tested also exceeded the Minamata limits. The Group’s research demonstrates that hazardous substance restrictions and accompanying risk communication strategies in many countries are incomplete and/or inadequately enforced. 2. Continuously updated global government detention website listing of product violations, including product photo, manufacture, country of origin, seller identification, links, etc. 8. Through national ad councils, assuring that non-discriminatory advertising guidelines do not reinforce negative social stereotyping on the basis of skin color. Globally, mercury-based products are a big business. Demand is skyrocketing, especially in Asia, the Middle East and Africa, with sales of $17.9 billion in 2017, and projected to reach $31.2 billion by 2024, according to Global Industry Analysts. Skin lightening products — also known as “bleaching creams,” “whiteners,” “skin brighteners,” or “fading creams” — work when inorganic Mercury salts (e.g. 1-10% ammoniated mercury) inhibit the formation of melanin, resulting in a lighter skin tone.